Mobile App Development: Should you pick iOS or Android? 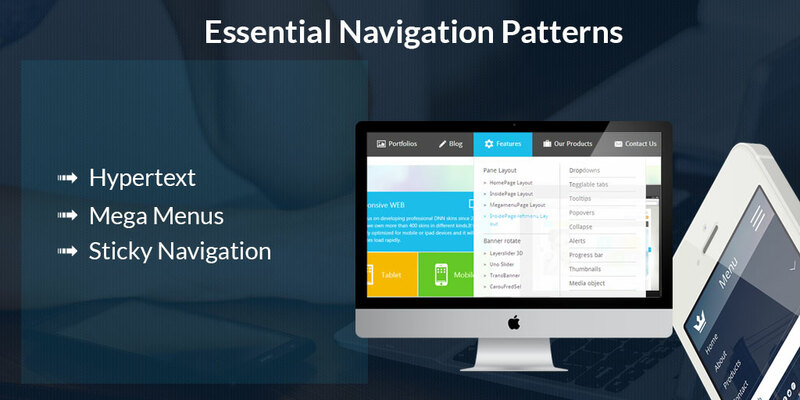 Navigation pattern has the ability to make or break the UX of the site. As a web designer it is your responsibility to make sure that the site you have built for them helps in boasting the experience of the user. A splendid UX helps in making sure that the site of the client receives more leads, visitors and readers. Undoubtedly, it is one of the most important parts of the website design and designer have a great control over it depending upon the design of the site’s navigation menu. For some unknown reasons many designers do not place high priority on the issue of designing an excellent navigation which can prove to be very beneficial to the clients and to the visitors. In order to be a reputable designer one has to master the art of creating unique navigations for the client’s site. 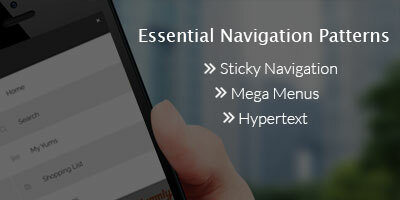 Sticky navigation is an important component among various designing techniques as it gives user instant access to menu of the website and helps them in locating whatever they are looking for on your website. The main quality of this navigation is that it remain locked in the place as rest of the page scrolls up and down. It can really be very frustrating, when user to have to scroll all the way down to find the information and then to go to another page he has to scroll all the way up, just to locate the navigation bar. On web, seed is everything and allowing users to access the navigation menu quickly is a best practice. Any text reference on the page which user can click in order to get additional information that is usually located on the other page is called hypertext. The information can be on the different page of the site or can be located altogether on the different site. Both design techniques are used to make sure that hyperlink standout from rest of the page and is easily visible. These menus are great for navigation purpose, especially if the site you are designing for the client has a lot of content and categories. Essentially these are very huge drop down menus which open up additional layers of navigation which help user to locate what they are exactly looking for. All these features make it upper simple to use the navigation menu. Conventional symbol which most of the users can understand immediately is called pattern affordance. For example, house icon to represent the homepage of the site. Usage of explicit words like ‘home’ for clarifying which part of the website the user will be redirected to is called language affordance. Affordance makes it easier for users to understand how they can interact with the elements in the web design. It is basic but still lays the foundation of the web design which needs to be solid. Navigation is the foundation of the wed design and plays a huge role in determining the user’s experience on your website. Excellent navigation makes it easy for the users to navigate the site which benchmarks as a fine user experience.